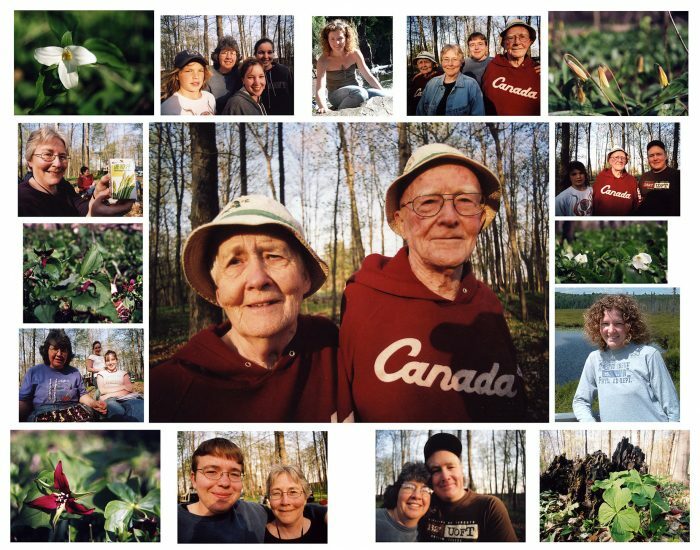 A project that honours and anchors a family’s natural heritage. Follow Tribe’s journey to become an active conservationist. Starting with a decision that would make his parents proud. 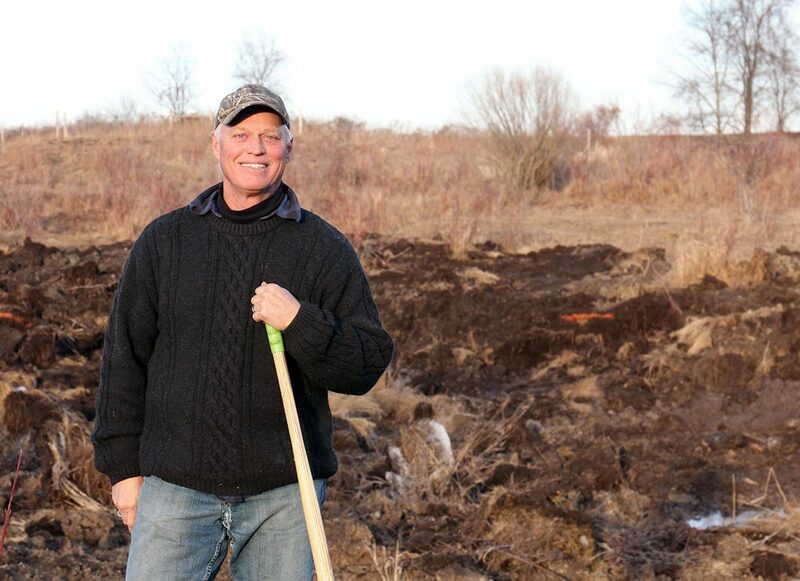 “I’ll dig out a pond by the creek and maybe we’ll attract a few birds,” proposed my nephew Nick Sweazey. 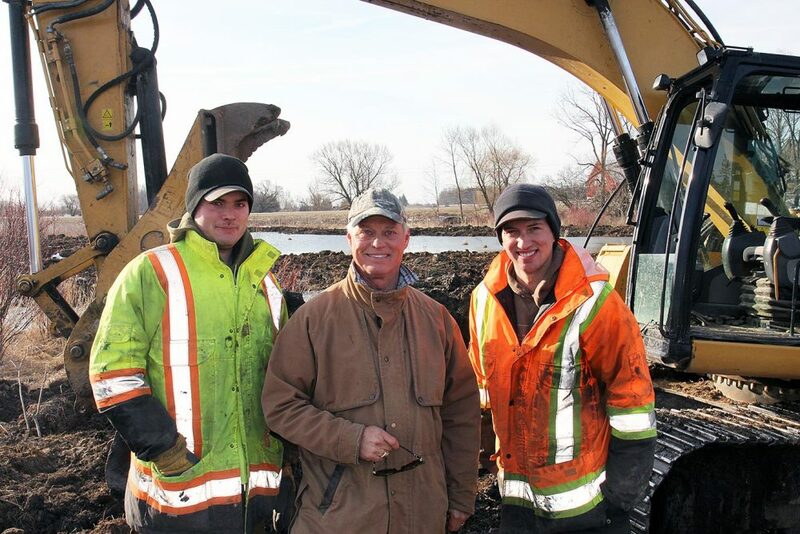 Nick, my waterfowl hunting companion, offered me a “family special” through his uncle Steve Watts’ excavation company. I kicked the idea around with my family. But with respect to due diligence and the potential for more, we decided to contact DUC first. The highly-respected organization has a proven track record of performance. Its hunting roots, combined with an emphasis on habitat protection and enhancement, lined up with family values instilled by my parents, Harry and Jessie Tribe. They enjoyed all things natural, with a healthy respect for the land’s inherent character. Dad was a tree planter, improved our woods through selective cutting and recognized stewardship over ownership. Both mom and dad lived into their 98th years. 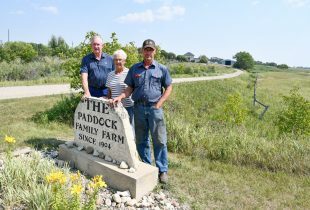 Thanks to them, our Norwich Township farm in Oxford County remains a focal point, a physical grounding of where we come from, who we are and who we want to be, as a family. My first tentative phone call to DUC was met with friendly professionalism and a scheduled site visit from volunteer Phil Holst. Holst’s excitement was infectious. 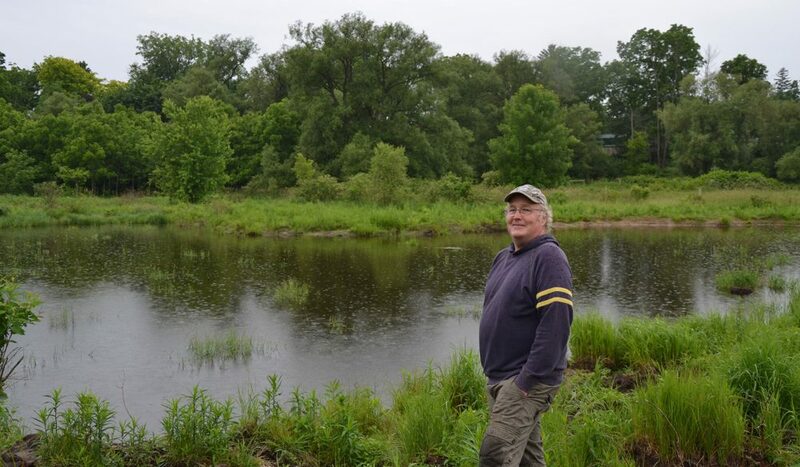 He paused atop a knoll to mentally paint the broad strokes of a proposed wetland enhancement project: inflow, outflow, major features, wildlife benefits, how it would be self-sustaining over decades, bolster the water table, all in respectful consultation with us as landowners. “And we were going to just dig a hole in the ground,” I thought. 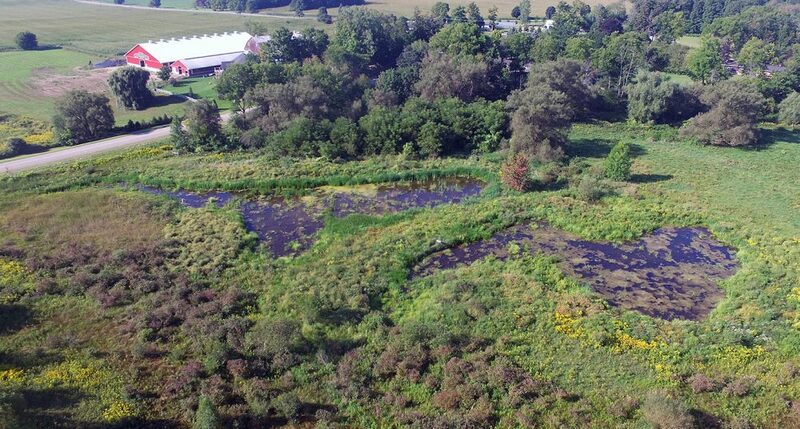 DUC proposed an inter-connected 1.4-acre (.6-hectare) wetland featuring two major and several smaller water features, supported by 8.9 acres (3.6 hectares) of upland habitat. 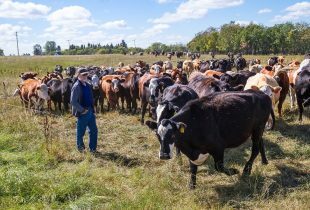 An alternative livestock water source incorporated outside a fenced exclusion area allowed conversion back to naturally-functioning wetland after decades of pastured farming. Watts Excavating successfully bid on the project. 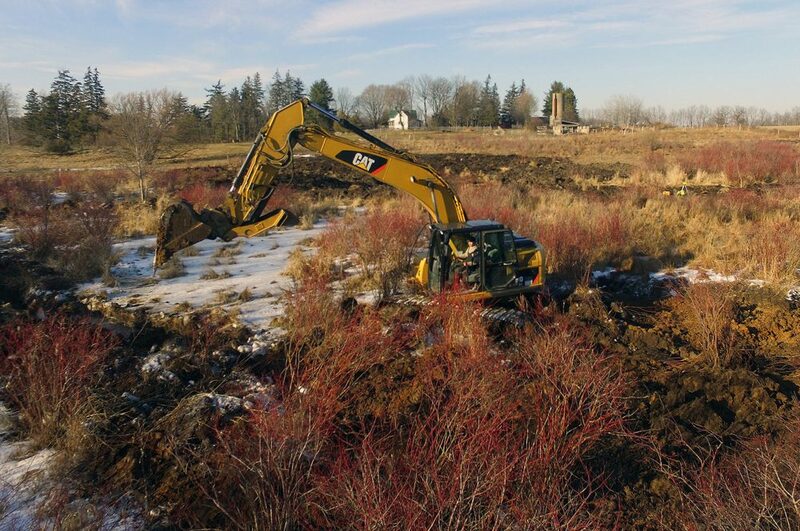 Excavation work occurred over the fall and winter months of 2017/2018 and into the spring. DUC’s financial and logistical support through design and a potentially-intimidating permitting process was crucial. We remained impressed with how efficiently DUC used the funds to maximize both our and donor contributions. These collective investments resulted in exponentially more value than any “hole in the ground.” The area healed quickly from excavation. It is now a lush, green profile with a mixed tree planting amidst wetlands whose water levels rise and fall as anticipated and that are designed to not run dry through extended drought. Frogsong, fireflies, winged visitors and inhabitants, and progressive evolution bring ongoing satisfaction. 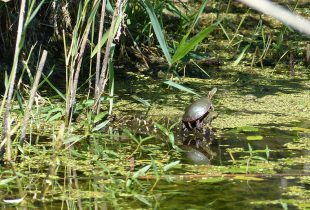 Most importantly, me, my sister Lahring, and our families consider the wetland enhancement an appropriate tribute to a special couple who figuratively walked on water in the eyes of their descendants. It’s something our mom and dad would be proud of. All this has flowed from that one phone call.